They even awarded Element their first ever Cornerstone Collection Award! Need more convincing? Check out these awesome reviews! Element can be found in game stores on March 1, 2017. Order NOW or ask for it at your Friendly Local Game Store! Element Wins Cornerstone Collection Award! 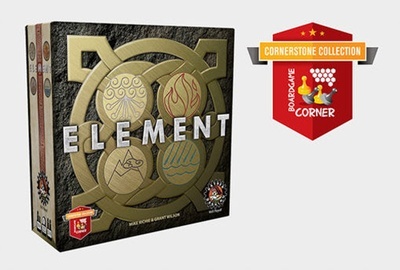 We’re drawing closer to the release of Element on March 1 and we are excited and honored to announce Element is the recipient of the Cornerstone Collection Award from Boardgame Corner. They awarded Element with this award while it was still in prototype stage! They love it THAT much! Recently, they received their advance copy as part of our review program and were just as excited, if not even more impressed with the quality of the finished product. Aww, shucks! Now the sages are blushing. We want to thank Boardgame Corner for the praise and for the Cornerstone Award. We are honored and tickled pink that they are enjoying the game so much! Now that they’ve played it a few times (20+ according to Mark!) they have a real sense of the game and are still eager to play more. How’s that for replay ability!?! Check out their full official video review for a good overview of the game and some thoughtful commentary on the production value, gameplay, and rules for Element. 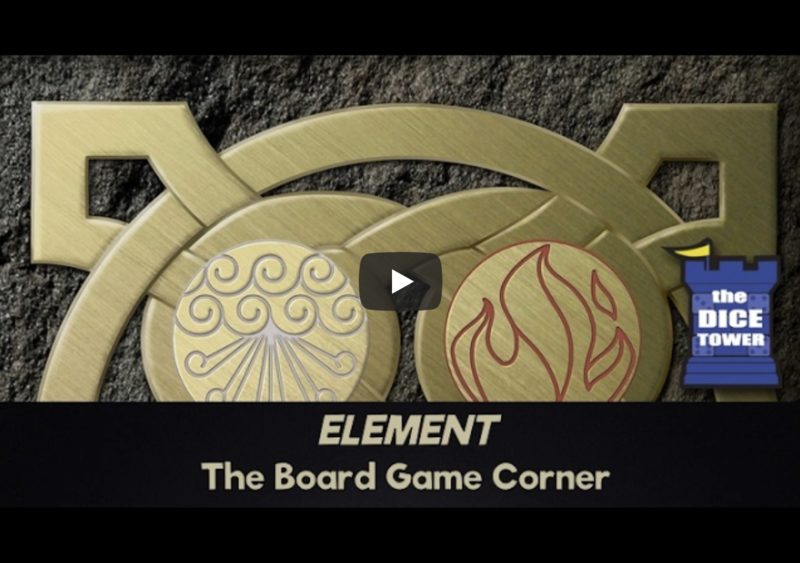 If you are interested in learning more about Element, check out our website for How to Play videos and to download a copy of the rules. Be sure to pre-order your very own copy at your Friendly Local Game Store! Element hits store shelves March 1.